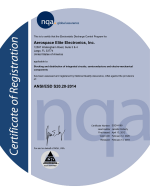 Sourcing hard to find and obsolete electronic components is our business. Call or send a QUOTE REQUEST below to connect with our experienced team. We are a Veteran owned leading supplier of hard to find and obsolete electronic components. Our facility warehouses thousands of line items, shippable same-day. Our experienced staff coupled with our many qualified trading partners will give our customers priority access to discontinued, long lead time components worldwide. 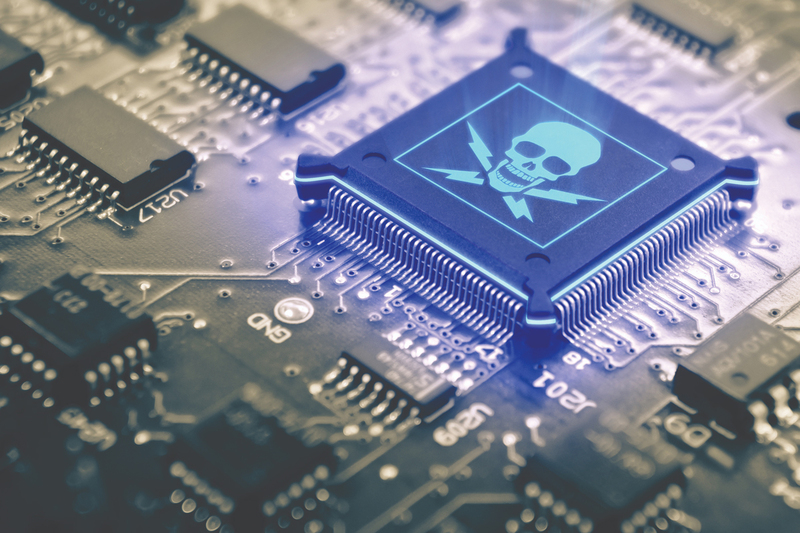 Suspect and low quality components have flooded the electronics market for years. 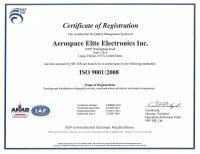 Aerospace Elite Electronics Inc. takes great pride in protecting our customers from substandard components and ships only top quality products on-time every time. 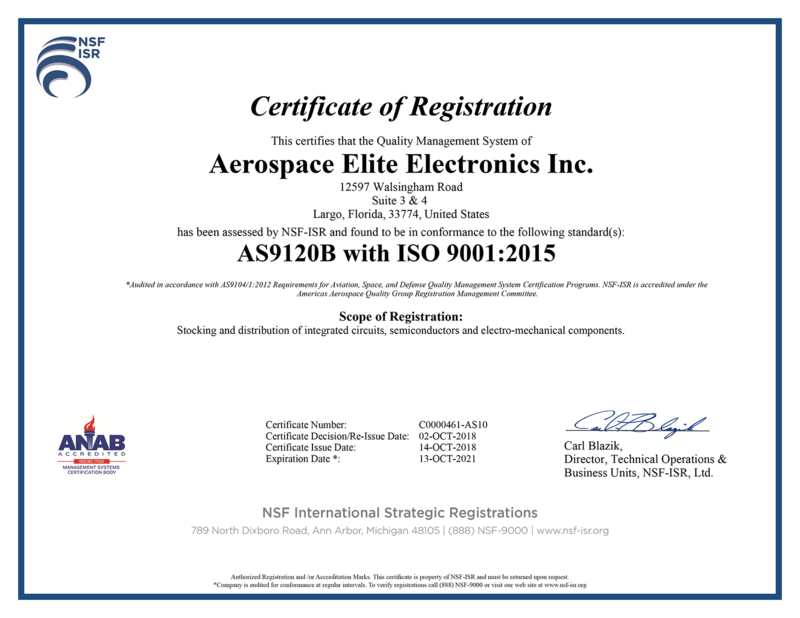 Founded in 2001, we are your ISO 9001:2008 certified and AS9120:2002 certified electronic component distributor and we look forward to fulfilling your procurement needs. 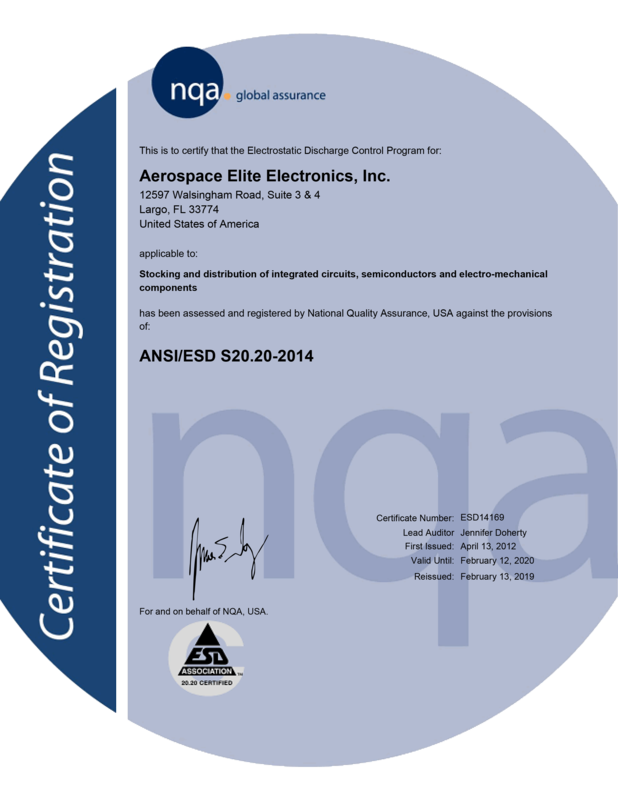 We stock and source high-quality electronic components for both large and small businesses. Send your request for quote and one of our team members will be in contact with you. Payments can be made on Credit Card and we are available during normal business hours to speak about your needs and requirements. 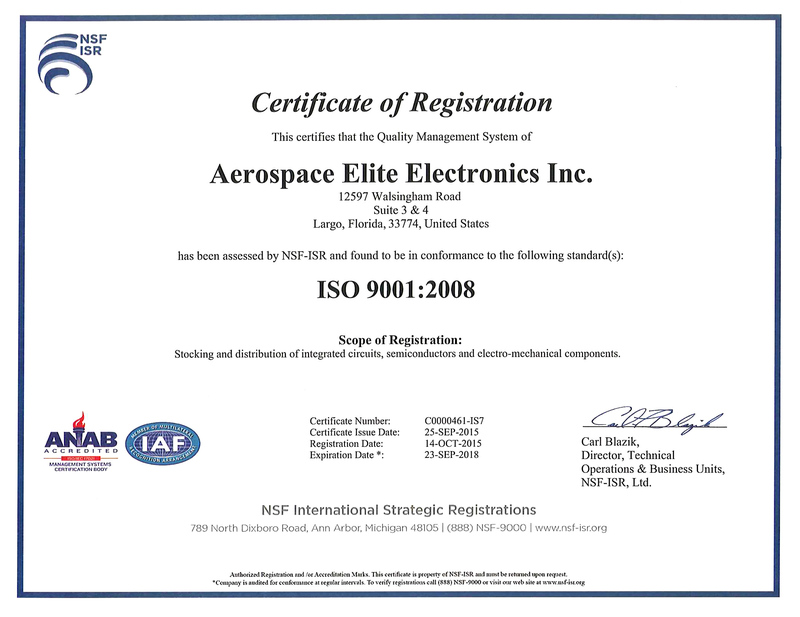 That is exactly what we excel at, finding those obsolete and hard to find electronic components. Try our Quick Quote form below. Let us know the components you are looking for, lead time requirements as well as quantity and cost target and our team will get working on your request. After submitting your part request information, our team will follow up ASAP. 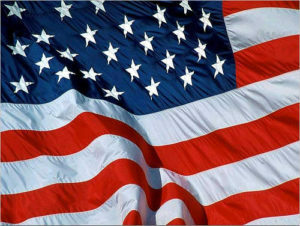 For quickest response during business hours, give us a call at 727-394-9000. 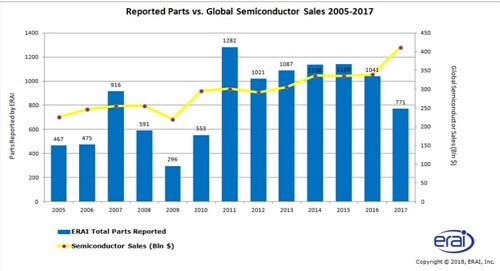 We are constantly researching electronic component trends and the latest counterfeit tactics used by the black market. 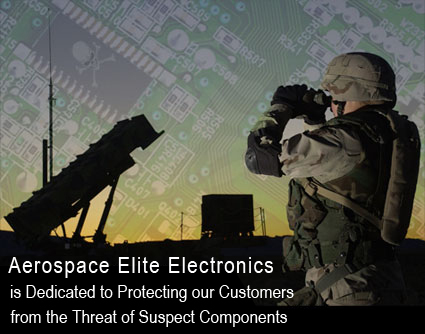 The threat of suspect components is real and its impact is much more than financial. 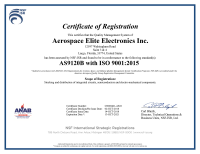 Our experience with sourcing electronic components for both large and small buyers ensures we are your perfect supplier for any sized project.